Every year during spring break, crowds descend on the city to attend the world-renowned SXSW Conference & Festivals. Consisting of three main components, Interactive, Music and Film, each track brings top creatives and global professionals together to collaborate during this exciting 10-day conference. "The Son" Premiere at SXSW 2017. Credit Michael Loccisano, Getty Images for SXSW. 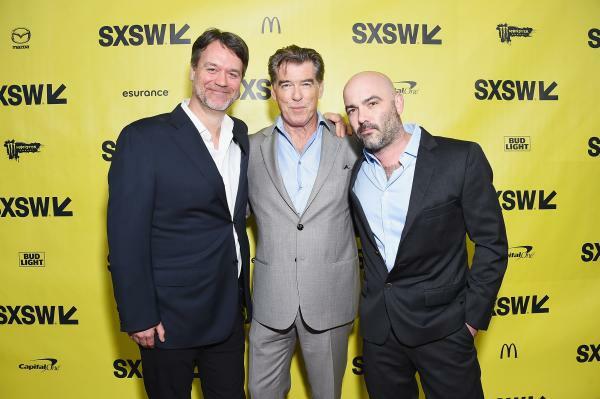 This year marks the 25th year for the SXSW Film Festival and programming will run March 9 - 17, 2018. The nine-day festival will include 44 films from first-time filmmakers, 86 world premieres, 11 North American premieres and five U.S. premieres. There are many high-profile feature films debuting at this year’s SXSW, like John Krasinski’s “A Quiet Place,” and Wes Anderson’s “Isle of the Dogs,” but the most exciting selections in the lineup are the feature films, television series, documentaries and short films made in Austin or made by Austin filmmakers. Below is the full list of the Austin-related films screening at SXSW (each linked to their SXSW page which includes synopses, screening times and filmmaker bios). ACC Sneak Peeks – Showcase of shorts by students from Austin Community College. AFS ShortCase – Program of short films produced by Austin Film Society MAKE members. Austin School of Film Community Works – Selected works from Austin School of Film’s courses. Face of Austin 2018 – Short films by local filmmakers reflecting the diversity of our city. UT Radio-Television-Film Longhorn Denius Student Showcase - a rich diversity of recent student films from The University of Texas at Austin&apos;s RTF department. To purchase a SXSW badge/wristband or find more info on screenings and the conference, head to: sxsw.com/film. Which films are you planning on seeing while in town for SXSW? Follow our @FilmATX account for the inside scoop on all things film-related during the festival and after!